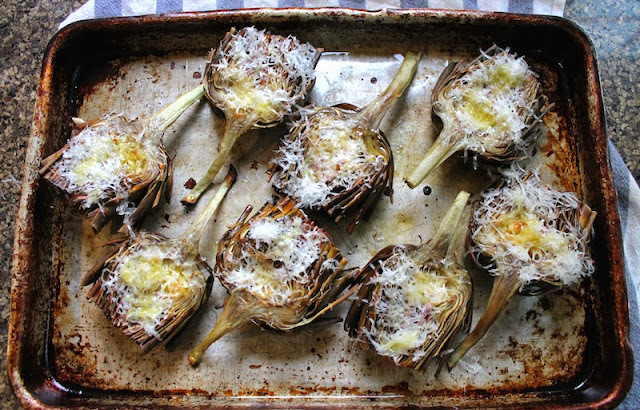 Roasting artichokes filled with garlic and well drizzled with olive oil and lemon gives them a lovely smoky sweetness that is complemented by some salty Parmesan. I’ve written in this space many times before about the short year we lived in Cairo. Very little produce was imported because the Nile Valley was so richly fertile and vegetables and fruit could be grown year round. (Check out this post for a photo of the valley from space. It is amazing!) 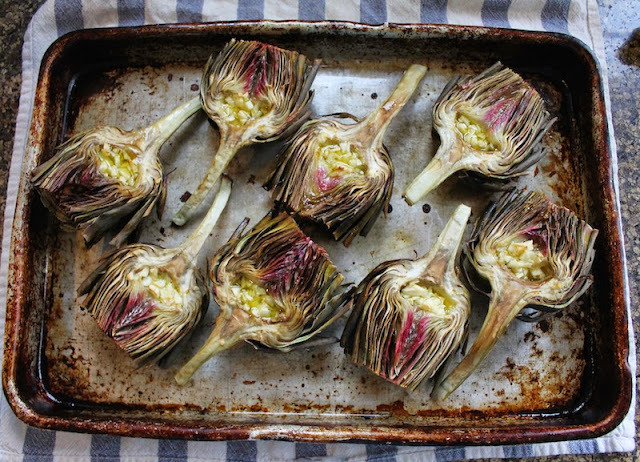 Our favorite time was artichoke season. (January/February, in case you are planning a trip.) 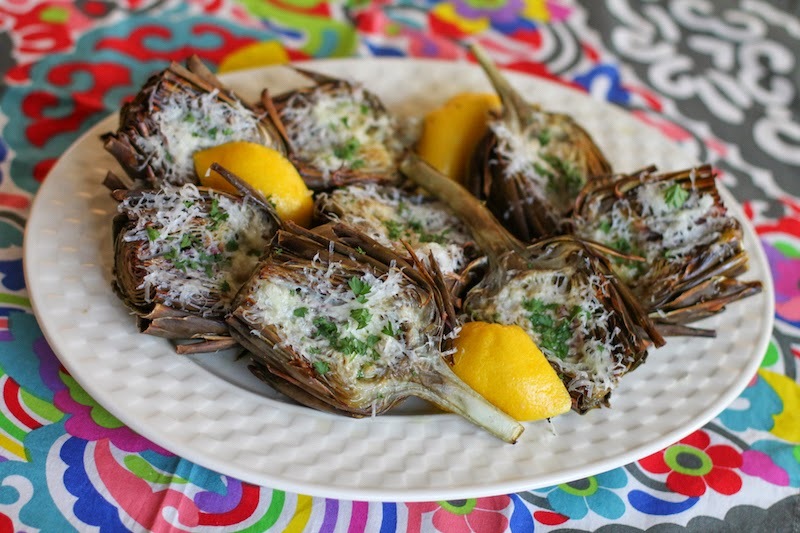 They were so cheap that I must confess, we ate more than our share, trimmed and steamed, with garlic lemon butter to dip or pan-roasted and marinated with herbs and garlic. Occasionally here in Dubai, I see Egyptian strawberries in the stores but, for some reason, the other gorgeous produce is not imported. Goodness knows that the Egyptian farmers could use the income, but perhaps the infrastructure just isn’t there for exporting more. 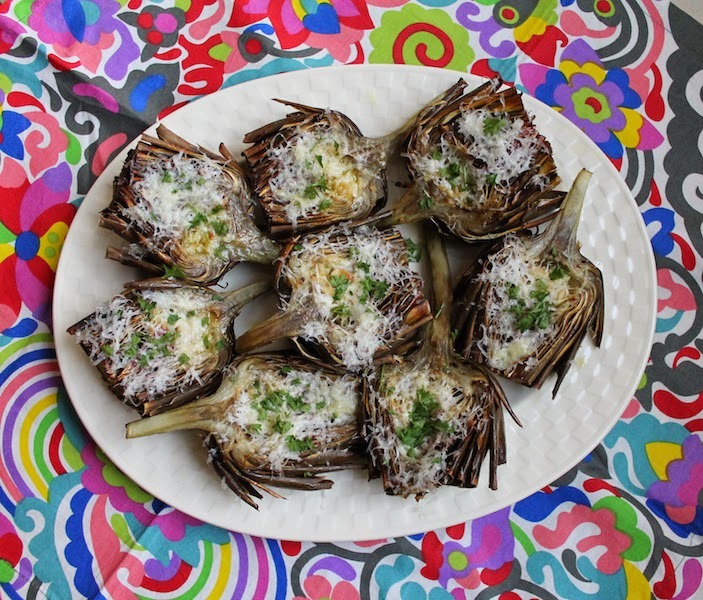 So, from an overabundance of fresh artichokes, we’ve gone back to having them occasionally, one each, as a treat. Like its predecessor, The Vegetarian Flavor Bible is all about which flavors and ingredients complement others. 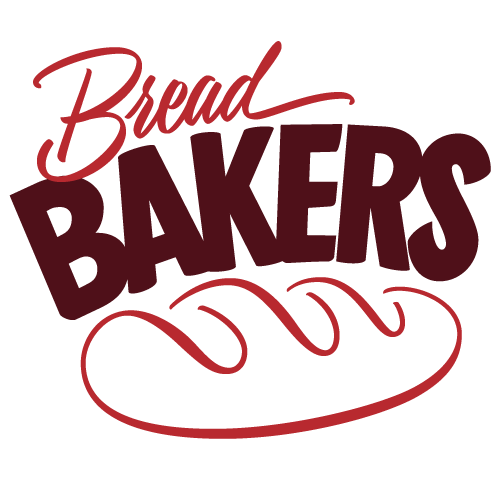 It’s not a cookbook in the traditional sense, but a framework to build deliciousness by combining ingredients to get the best out of them all. 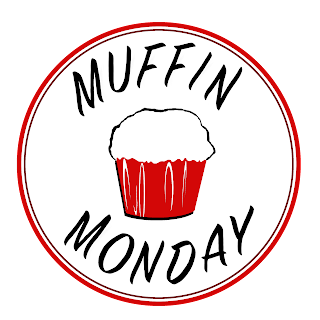 Along with the flavor affinities, the authors also suggest cooking methods and dishes to try. 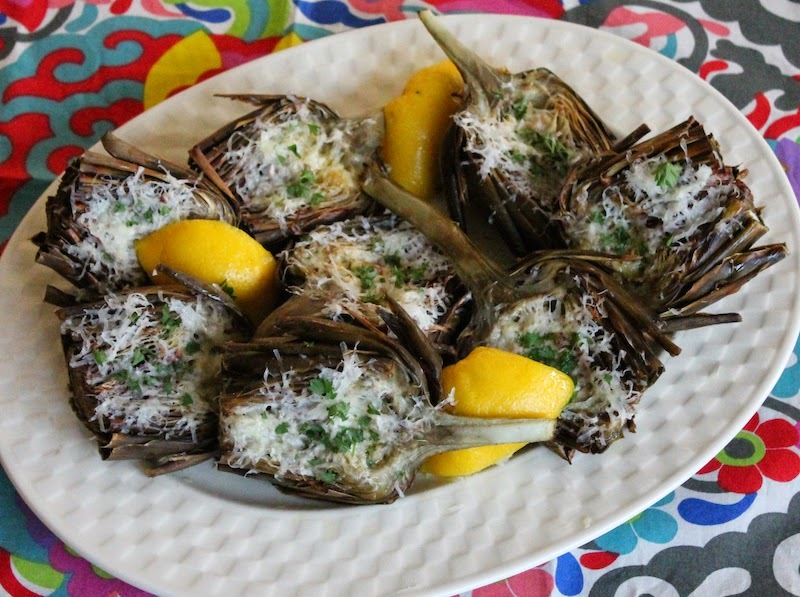 The list of what best accompanies or complements artichokes is long and varied so I chose to go with some of my own favorites: lemon and garlic. But then I added Parmesan, which I had not considered before. It contributes both saltiness and flavor and kicked the artichokes several more notches up the flavor chart. 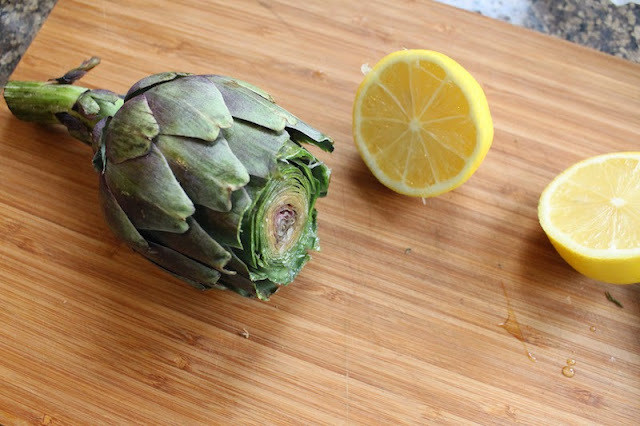 Choosing fresh artichokes: Pick artichokes with thick green leaves, no dried bits and a stem of 4-5 inches or 10-13cm. Many shops cut the stems off and so did I for many years, following instructions in cookbooks for steaming. 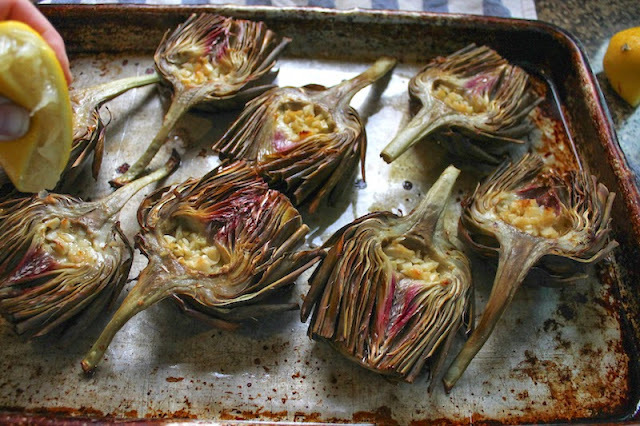 But while living in Egypt and researching artichokes, I discovered that the inside of the stem is not just edible, but delicious. Use a sharp serrated knife to cut the top one-third off of each artichoke and discard. 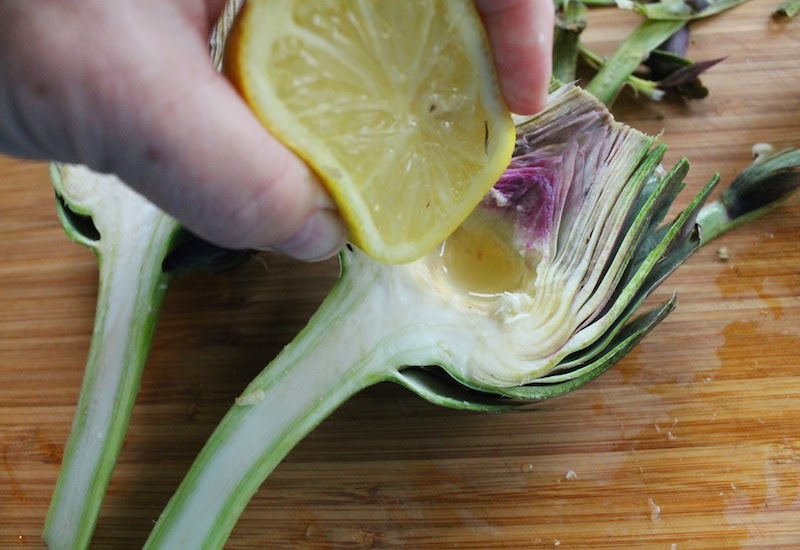 Cut one lemon in half and rub the cut end of the artichokes with the lemon juice. This helps to keep them from turning brown. 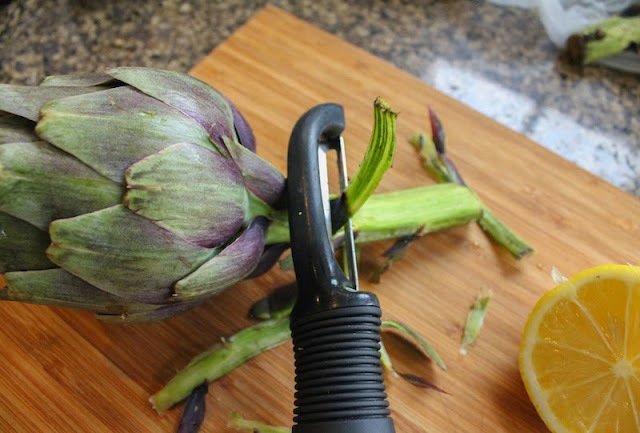 Cut the very end off of the stems then use a potato peeler to take off their tough outer peels. Rub the stems all over with the cut lemon, squeezing out a little juice if necessary. Turn on your oven to preheat to 400°F or 200°F. 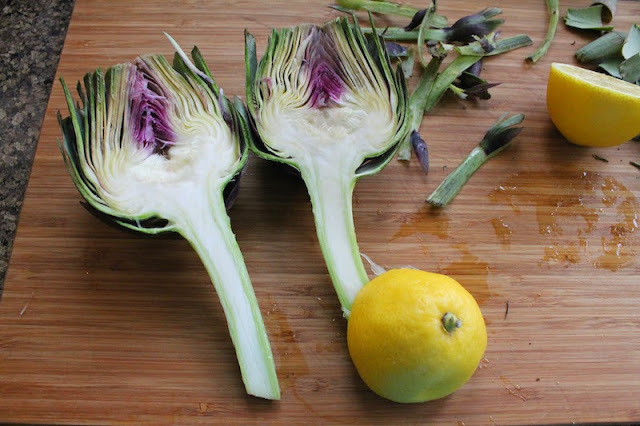 Cut each artichoke in half, straight through the middle of the bulb and down through the stem. Once again, rub the cut parts with lemon juice. 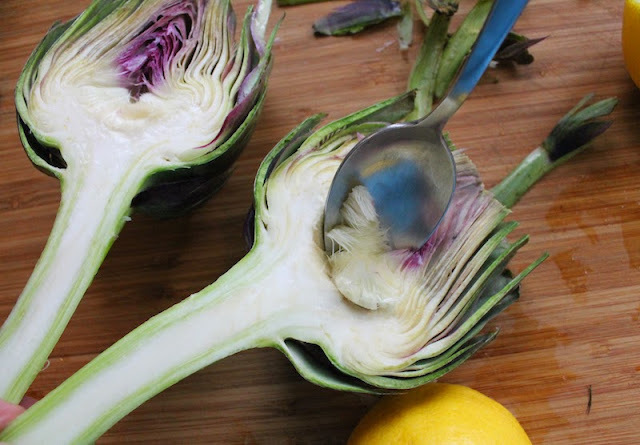 Use a small spoon to scoop and scrape the hairy choke out of each artichoke half. Squeeze in some lemon juice into the hole and rub it around to cover. 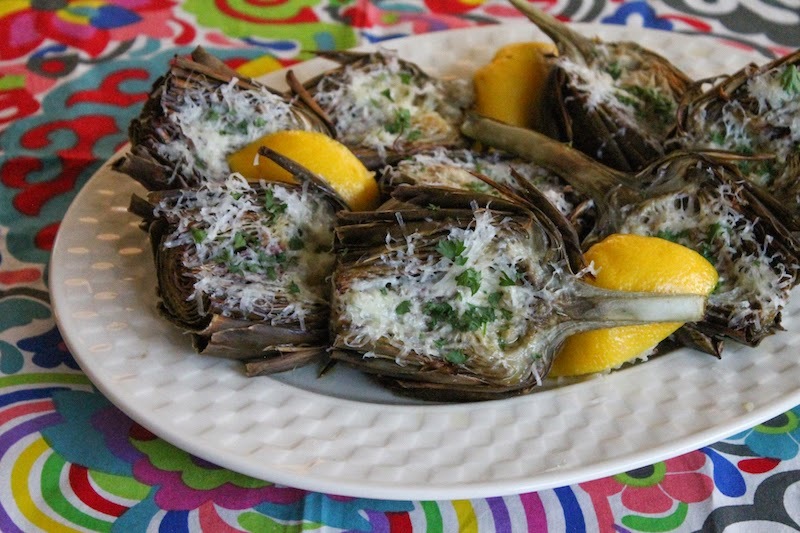 Place the artichokes halves, hole side up, in a large baking pan. 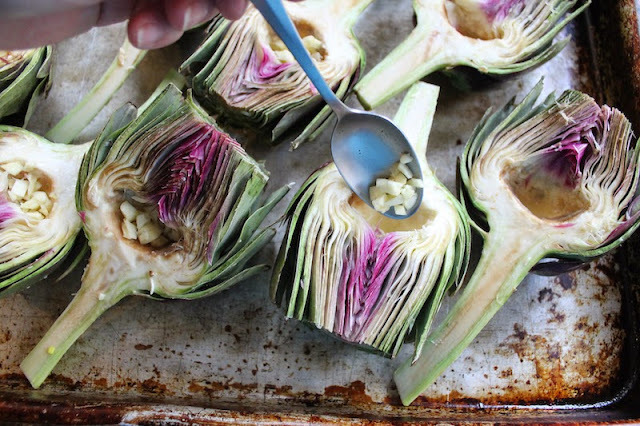 Peel and chop your garlic finely and divide it between the holes in the artichokes. Drizzle the artichokes liberally with more lemon juice and olive oil, making sure to get some up amongst the leaves and cover the garlic. Roast for 25 minutes uncovered in your preheated oven. Remove the pan from the oven and turn the temperature down to 350°F or 180°F. Cover the pan tightly with aluminum foil and bake for a further 30 minutes. 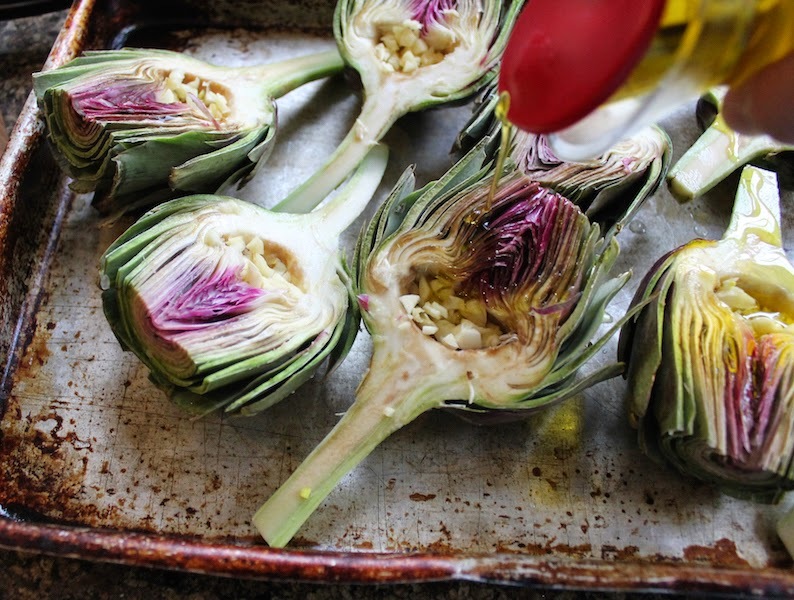 Remove the pan from the oven and poke the artichokes with a fork to check for tenderness. 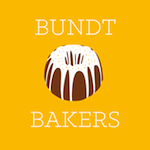 They should be done but, if necessary, cover them again and continue baking until they are tender. Once they are tender, remove the pan from the oven and squeeze a little more lemon juice on them. Then sprinkle the hot artichokes with the freshly grated Parmesan and another drizzle of olive oil. Add a little chopped parsley, if desired, for color. Allow them to rest until they are cool enough to handle, then eat as you would a normal steamed artichoke by pulling off the leaves one or two at a time and scraping the “meat” off with your teeth. 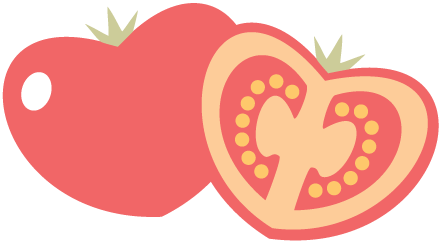 Once you get to the heart, with the choke already removed, the whole thing, stem and all, can be eaten! Serve with additional lemon wedges, if desired. Disclaimer: I was sent one copy of The Vegetarian Flavor Bible for review purposes. This post contains Amazon affiliate links to the books mentioned.